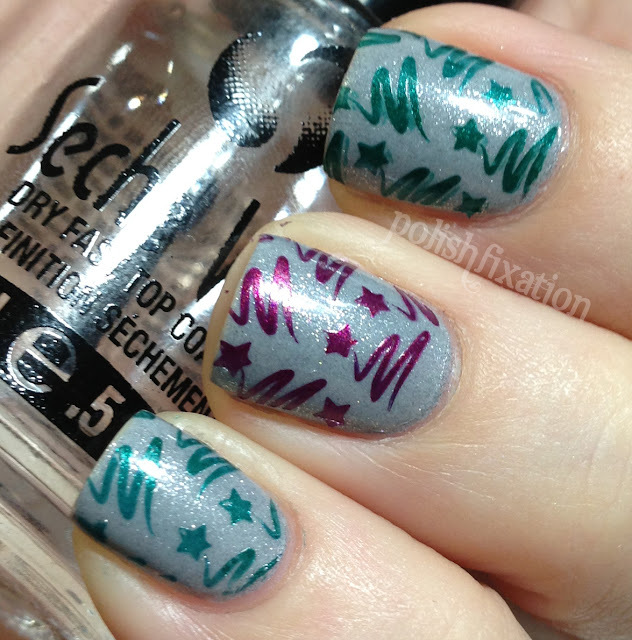 polish fixation: Christmas Trees with GALS stamping plates! Christmas Trees with GALS stamping plates! Good morning everyone! Hope anyone who celebrates had a wonderful holiday with their loved ones. Today I have another really cute manicure to share with you, featuring trees from Gals Fairy Set stamping plate collection (Plate GA27)! I stamped over Soo #s185 with red and green polish, to be a bit festive. 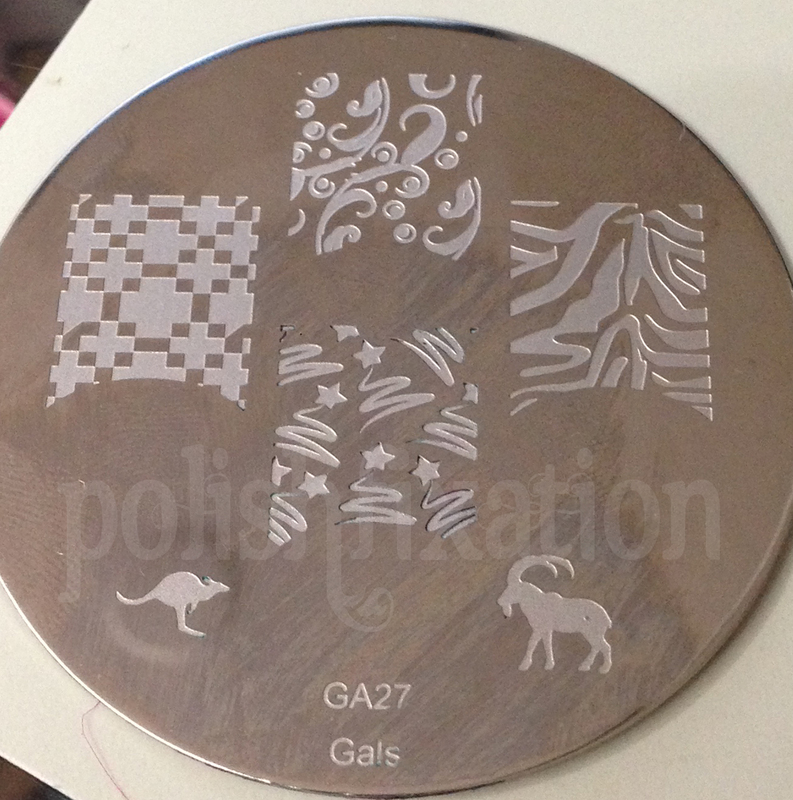 I enjoyed this plate and it was etched very nicely! Overall I really like this image plate and can't wait to use the others in this Gals Fairy Set, as well as the plates in the new Gals Princess Set! Gals Cosmetics are partnered with Cheeky Beauty, which you can follow here on facebook. 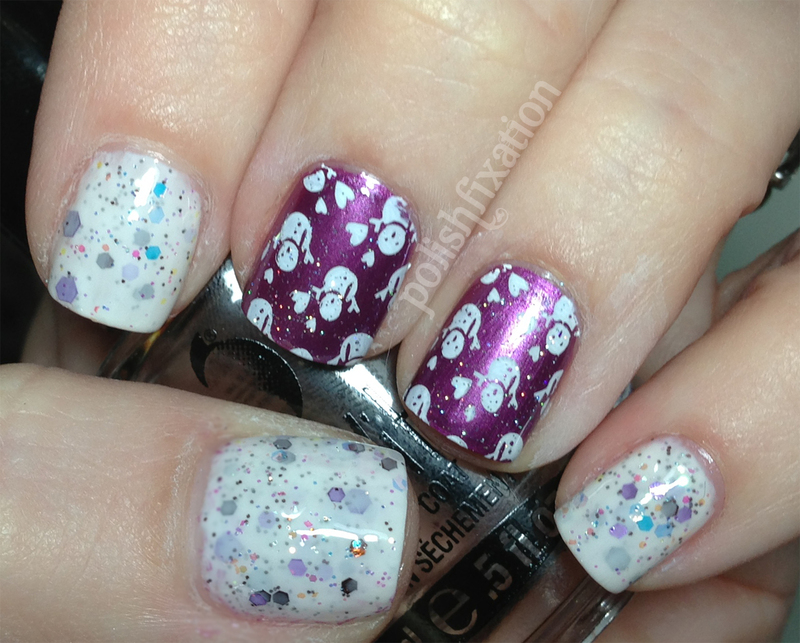 What do you think of this manicure? 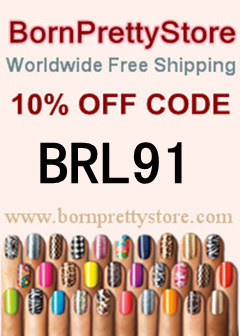 Do you like new stamping plates? So pretty, and I love this stamp! This is so cute! I've got to get me a stamp set.